A few times when I’ve been tired or in a hurry, I have gotten annoyed at a similar situation. 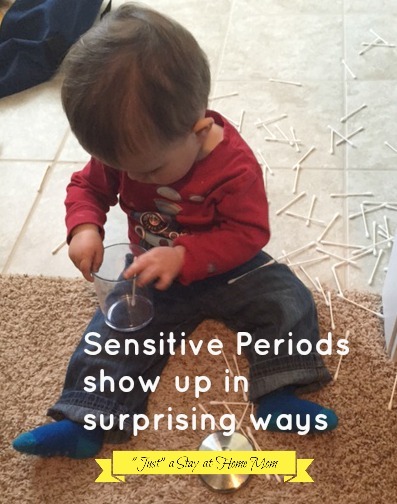 Once I learnt more about sensitive periods, I realised what was happening. I had just missed important learning opportunities. These days, I’m much more mindful of what my 19 month old Little Bean is up to. As often as possible, I try not to rush things and let him help, explore or whatever it is he needs to do. You’ve just inspired me to finish my blog post on observing and following the child. Thanks.